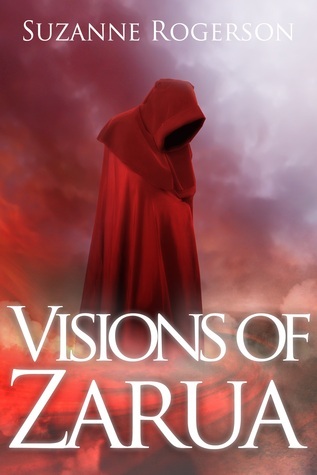 I’m really pleased to share this review of Visions of Zarua. Plus there’s an international giveaway to win a paperback copy. Head on over to BrizzleLassBooks. Good Luck everyone! I hope everyone had a great Christmas, I did see some great pictures and stories coming through on social media. Here is a review of a great fantasy I’ve read recently and for those of you feeling lucky I have a giveaway at the end of the post! I did share this on Instagram the other day, but it’s just so sweet I had to share it again. It’s been a while since I’ve posted anything, so I thought it was the perfect time for a little update. Firstly, Visions of Zarua had two reviews within hours of each other over the weekend! I’m suffering with a cold at the moment and these reviews were the perfect pick me up. See them on the Goodreads book page and Amazon UK. One reviewer even said Paddren was one of her top five favourite characters of the year. That is amazing to hear and really makes me smile, thank you Karen.O. Visions of Zarua has received some wonderful feedback over the last year with 17 reviews on amazon UK and 15 on goodreads. These reviews have been my inspiration to keep writing and I never tire of re-reading them. A UK only Goodreads competition will be running over the Christmas period. 22nd Dec to 1st Jan 2017. I’m also about to set up a Rafflecopter giveaway, something I’ve not done before but we’ll see how that works out. My first two beta readers reviews are in. 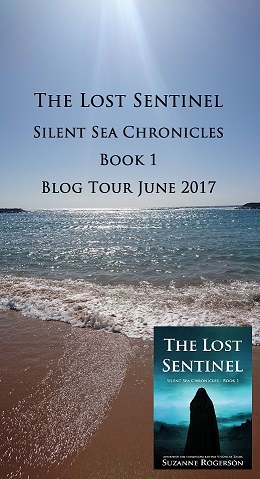 The consensus is that The Lost Sentinel is almost ready to publish! There’s still a few tweaks and mistakes to rectify, but it’s pretty much complete. Then it’ll just need a professional edit and book cover. Book 2 is written but awaiting the insertion of many, many scenes. I hope to start planning book 3 soon with a view to writing the draft during Nano next November. Scary to think of Nov 2017, but it’s good to have a plan. One of my beta readers is really pushing me to approach agents before I self publish The Lost Sentinel. She thinks it’s a much stronger book than Visions of Zarua and the fact its book 1 of a trilogy might make it a better prospect for agents and publishers to consider. What do you think of switching directions? I’ll be researching my options over the next few months. It’s exciting, but I’ve enjoyed self-publishing and I’m not sure I want to hand over control to others. There’s also the rejections to face again. Am I ready for that? I beat my 25 book target on Goodreads, which I’m really pleased about. There’s still time to get another book or two in and I’m hoping to post a review tomorrow of A Wedding in Cornwall by Laura Briggs. There are plenty of book tags around that I’d like to have a go at, and maybe I’ll try to select my favourite book of 2016. It’s harder this year as I’ve read more books than I’m used too. 2015 my fav book was Ink and Bone’ by Rachel Caine. Well the exclusive publishing is not going well and Kindle Unlimited KENP has gone down to zero pages for the last two months. At the back end of October this was looking like an exciting new way of reaching readers, now I don’t know. I’m stuck with it until Feb 2017, after that it will be decision time. The second Countdown deal didn’t go to plan. It worked in the UK and US, but seemed to start at different times. The Amazon Ads I’d scheduled didn’t work properly and the book price didn’t increase on the second day for some reason. This isn’t really an issue, but it just made my blog/tweets about it harder – I didn’t want to mention price in case it suddenly hopped up to 1.99. I made a few sales, but nothing to worry the bestseller lists! I spent more on Ads with Facebook, Amazon and Goodreads than I made in sales. Still, it’s all exposure for the book. If you have Kindle Unlimited, don’t forget Visions of Zarua is free to read in the UK here and the US here. I would really appreciate it of someone who has the facility would read a couple of pages and let me know when, just so I can check the pages read are being registered. Also, I had this crazy idea that I’d like to hit 20 reviews on Amazon before the end of the year. If you have read Visions, would you consider posting a short review? It really does make my day to read them. Here’s the latest review of my novel Visions of Zarua, from Karen who won a copy of the book during my blog tour in July. I won this book (mobi format) in the author’s giveaway.